There is no doubt Facebook is the #1 Social network across World. 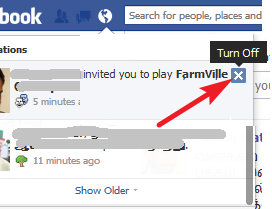 Some times Facebook sending some unwanted game requests and notification but there is a option to stop these unwanted notifications. Here the simple tutorial to know how to stop unwanted notifications. That's all here after you won't get unwanted notification and game requests.